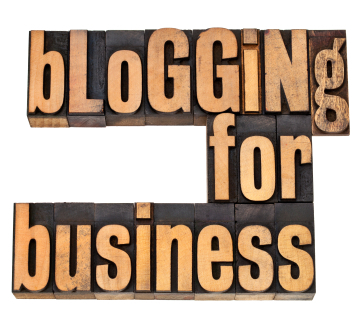 Business blogging helps drive traffic to your website. Companies that blog receive 55% more traffic than companies that don't. 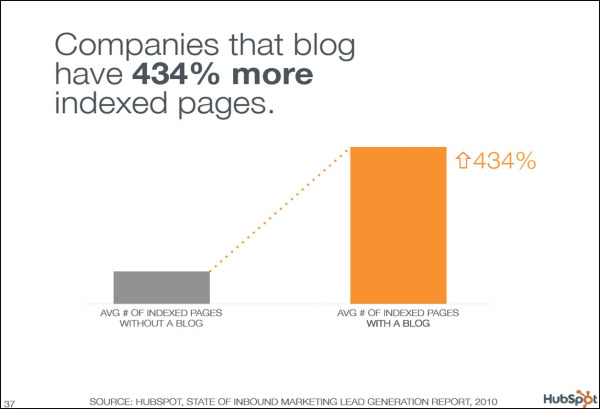 And, companies that blog have 434% more indexed pages compared to those that don't. In other words, people who search are 434% more likely to come across companies that blog in their search results compared to companies that don't. Definitely worth paying attention to in a world where the majority of customers start the purchase process at a search engine window! People who search will find companies that blog over 400% more than companies that don't. That means, if you blog for your business, you have four times the chance of getting business over those who don't blog. It also means that you are much more likely to appear on your prospect's first search page. So it's clear that companies that blog have an almost insurmountable advantage over companies that don't and you want to be amongst the companies with that advantage. Simple Marketing Now can help you get started with blogging for your business. Simple Marketing Now can help you develop a content strategy so the ongoing and regular publishing of content on a business blog doesn't bring you to your knees. Simple Marketing Now can guide you so you waste no time blogging for business and coach you so you find topics that not only help you get found online, but also connect you with customers. Contact Us to schedule a free 30 minute consultation. You won't regret it!